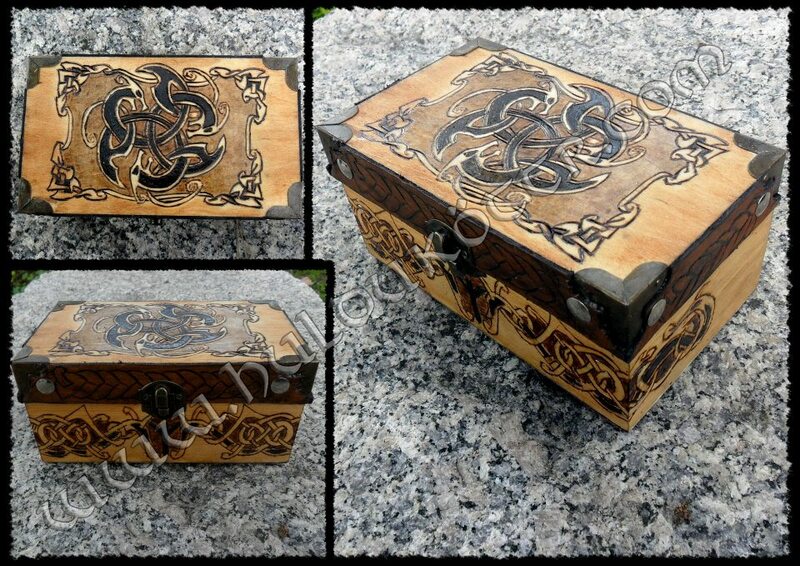 This Pyrographed box it's a comissioned work for someone in Germany. 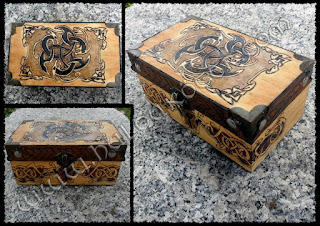 The box is 17 cm wide, 10 cm long and 8 cm high. The top carving is our former logo. Both side dragons and logo are own designed.